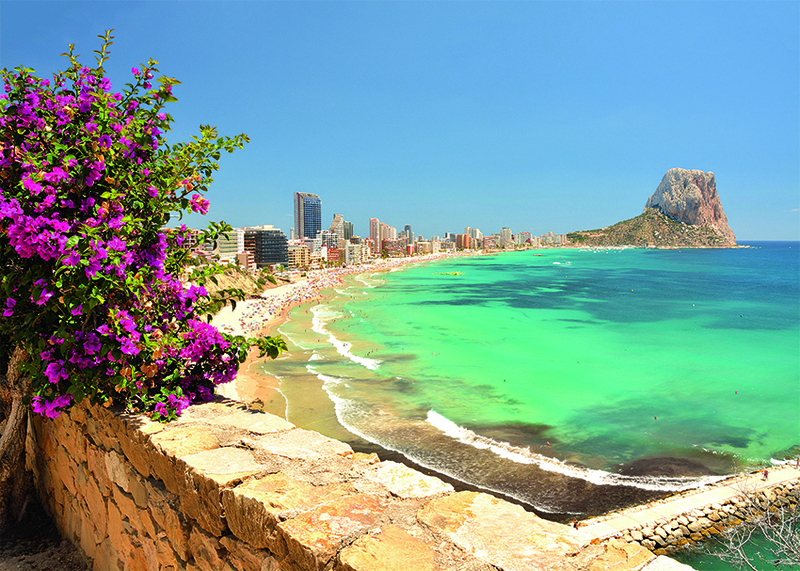 The Costa Blanca has the modern infrastructure you would expect from one of Europe’s main tourist destinations, but you only have to travel just a few miles inland to discover spectacular mountains and sleepy villages where the pace of life is slow and old traditions survive. Notable towns in the area include Guadalest – an ancient Moorish stronghold – in a spectacular setting with fantastic views from the remains of the Muslim fortress and Alcoy – the ‘City of Bridges’, so called because five rivers meet here and a series of bridges span the ravines. Also included are trips up the coast to Denia and to Spain’s dynamic third city, Valencia. You have seven nights in the Hotel Diamante Beach and an included circuit of the hotel’s extensive spa facilities. Direct flights are available from 17 airports across the UK, please see brochure for details. To book or request a brochure please phone Preferred Travel Services on 0116 279 3929 or email sales@preferredts.com quoting CANDIS. Holiday operated by Preferred Travel Services ABTA W3692. ATOL protected 5537.